FINANCE MINISTER PASCHAL Donohoe has made strides to reassure the public that any changes to the local property tax will be affordable. Amid speculation about revised property tax rates, which are to reviewed for the first time this year, Donohoe said any changes will be “affordable and predictable”. He added that no one will have to pay up this year, with the first bill due to arrive early next year. Addressing the issue today, Fianna Fáil’s Michael McGrath said urgent clarity is needed as to what homeowners are likely to have to pay next year. “Talk is cheap. People want to know where they stand,” he said, and called for the government to publish its review of the property tax scheme. Another round of valuations were due this year, but because house prices have been constantly rising in the past several years, politicians are concerned that the LPT will rise dramatically when the valuation date of March 2013 is to be reviewed by the government. Yesterday, the Taoiseach said local authorities will still have the power to vary the property tax upwards and downwards in the future. “The intention is not to increase the yield from the local property tax, so we will have to make changes in the band and in the rate as well so people see no increase, or perhaps a modest increase or decrease in 2020,” he said. In the last few days, there has been a lot of debate about what amount people will end up paying. Culture Minister Josepha Madigan was criticised yesterday by Sinn Féin after she told The Irish Independent that she wants lower rates of property tax in affluent areas, like her own constituency in south Dublin, when the LPT review is completed by the government. Speaking to reporters yesterday, Donohoe said he understands people’s concerns about a hike in the tax given that house prices have risen significantly, and not necessarily in line with wage inflation. He said the roll out of any changes will be “moderate, understandable and affordable”, and that he is looking at many different options – adding that he is well aware changes can have knock on effects in other areas. He said a review of the local property tax system is currently underway and he is due to receive the report in the first quarter of this year which will inform any decisions in the future. While Donohoe said he understands the anxiety around the property tax, he would not be drawn on possible proposals to modify the system, stating that it is a matter for Cabinet discussions. He also could not give reassurances to the public that their property tax would either rise or fall by 5%. 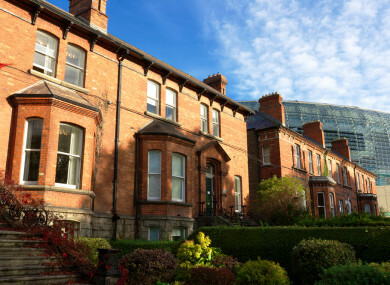 Taoiseach Leo Varadkar said before Christmas that homeowners who do not currently pay local property tax may have to in the future. Under the current rules, homes that were bought in 2013 do not have to pay LPT. Properties purchased in 2013 are exempt until the end of 2019, as are properties that were self-built in that year. New and previously unused properties purchased from a builder or developer between 2013 and 31 October 2019 are also exempt until the end of 2019. However, Taoiseach Leo Varadkar said the government will consider removing these exemptions. Donohoe acknowledged the Taoiseach’s proposals but said as the finance minister he is not only assessing the level of payments due, but also what happens to the revenue that is raised. He said that monies raised is one of the primary sources of funding to local government. Varadkar has previously indicated that future reforms of the property tax may ensure all of the money you pay goes to your local authority. At a moment in urban local authorities and a few of the wealthier counties about 20% gets diverted to less well-off counties. The Taoiseach said there would still need to be “an equalisation fund” to make sure those less well-off counties, particularly those down the western seaboard, don’t lose out. But he believes people would prefer to see the actual tax they pay going to their own local authority. Email “Minister moves to reassure public that reformed property tax will be 'affordable' and 'fair'”. Feedback on “Minister moves to reassure public that reformed property tax will be 'affordable' and 'fair'”.